The Lorentz Center will be hosting a five-day workshop on the Formation of the Solar System and the Origin of Life between 20-24th February 2017 in Leiden. The workshop will be highly interactive, with individual presentations as well as ample time for interdisciplinary discussions and cooperative research. The goal of the workshop is to foster a new community with an interdisciplinary approach to this research topic. Younger researchers are especially welcome as they are still able to cross disciplines. The formation of the Solar System. The origin and transport of water. The origin and transport of life. Further development of life in the context of the Solar System. 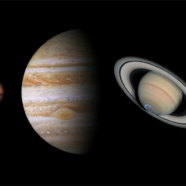 How the Solar System compares to other planetary systems. Each of the five days of the workshop will be devoted to one of these topics, starting with two extended review talks (30 minutes each) followed by shorter presentations with key problems/discussions and breakout sessions. The meeting will facilitate the unification of ever-improving data and the theoretical models from these different research areas.